When I was a kid my grandpa made me a deal. For every quarter I saved, he would match a dollar, and we’d put the lot of it in my bank account. I wish someone would make me that deal now! Money challenges for kids are a great way to teach them the importance of financial literacy and to get them saving young. Money shouldn’t be foreign to children. By teaching them the value and power of a dollar in their childhood, you create adults who understand finances. One great way to do this is to explore money challenge for kids. 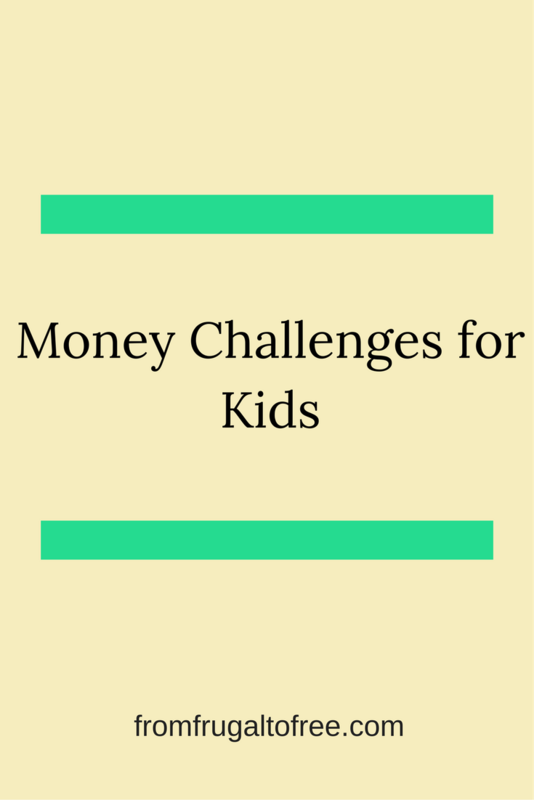 Money challenges for kids can be fun, educational, and a way to bring your family together. I know I spent more time with my grandfather because of this deal than I would have without it. Feel free to borrow my grandfather’s dollar-for-quarter saved idea. If that’s not your style, here are two other money saving challenge for kids. Everyone, including kids, do better with challenges when there’s a goal that they’re working towards. So first, have your child come up with something they want to work towards. Maybe it’s a new toy, or maybe it’s a gift for someone else. Having a clear goal in mind will help them stay focused on the challenge. Find a clear jar and mark it with your child’s name. Anytime they come across coins, they should put them in the jar. Any kind of coin will do. Every three months, add up their collective coins and deposit the total in their savings account. , a glass mason jar with a hole cut in the lid will do just fine. This also teaches your child independence. There’s no adult match here, and no need for something like allowance. Change is easy to come across in the world. Kids will be able to take this on almost completely by themselves. Education + independence = a good challenge! This challenge has a more regular saving schedule and a more ambitious savings goal. Have your child aim to save one dollar each week in their jar. Every third month, increase the amount saved by one dollar. So, for the first three months of the year, kids will save $1 a week. For the second three months of the year, kids will save $2 a week. For the third three months, kids will save $3 a week, and the final quarter of the year will see kids saving $4 a week. By the end of the year, kids will have saved $130. By increasing the amount saved each quarter of the year, kids will learn the power of compounding savings. It also gives kids a goal to work towards- they’ll need to come up with ways to increase the amount they’re putting away. You can track their weekly savings on a chart. Check off each week that they meet their savings goal, and give them positive reinforcement. We want the next generation to have the financial tools and skills they need to be great with money. By starting your kids out early, and teaching them that money isn’t scary, you’ll give them those tools. 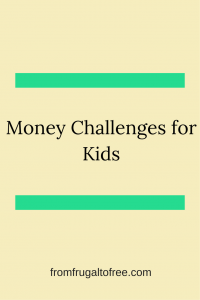 Money challenges for kids are a great way to introduce them to finance. Finally, by way of a final note, money challenges are great for adults as well as kids. Two of the most popular ones are the 52-week money challenge and the 365 day money challenge. Savingadvice.com has a pretty good write up of both. As soon as the kids were born, I said, OK, it’s my responsibility to make sure they understand the value of a dollar, how to save, invest, and spend — something I wish I had a bit more education about way before my 30s!! — but I must admit, teaching kids about money is not as easy as it sounds, and probably why my folks and many other parents have a go at it (if anything just the basics), but then let it slip, as holding their attention on what could be a rather dry topic is quite the challenge — I typically here, “it’s boring”, and then I’m shut out. I understand it’s probably hard to be consistent, what with kids being kids! 🙂 But any conversation or activity you can introduce to them will help them out later. 400% matched savings? your grandma must have been a balla! but on a more serious note, a lot of people might thing that’s not achievable in real life outside of having a rich relative. but if you keep looking hard enough you’ll eventually find deals this good if not better. I love the idea of gamifying financial learning for kids. Money learning can be super boring if it’s taught wrong, but I really like these examples, especially the fun charting aspect. I love the idea of a coin saving challenge, and I’ve even done it myself a few times! It’s crazy to see how much is saved over the course of a few months or even a year!